Does your 2003-2012 Dodge Ram 4x4 destroy stock front sway bar end links like they're going out of style? It's a common issue on these trucks, our Extreme Duty front sway bar end links are the solution! They're built using extreme duty teflon lined chrome moly spherical rod ends combined with polyurethane bushings for years of heavy duty service. The spherical ends provide for bind free articulation and the polyurethane bushings won't tear up and detoriorate like the stock rubber bushings do. This kit is designed for use on trucks that have installed a 2" front leveling kit. When you install a 2" front leveling kit you need to use longer front sway bar end links to maintain proper suspension geometry. These end links have their length extended to match a 2" front leveling kit. 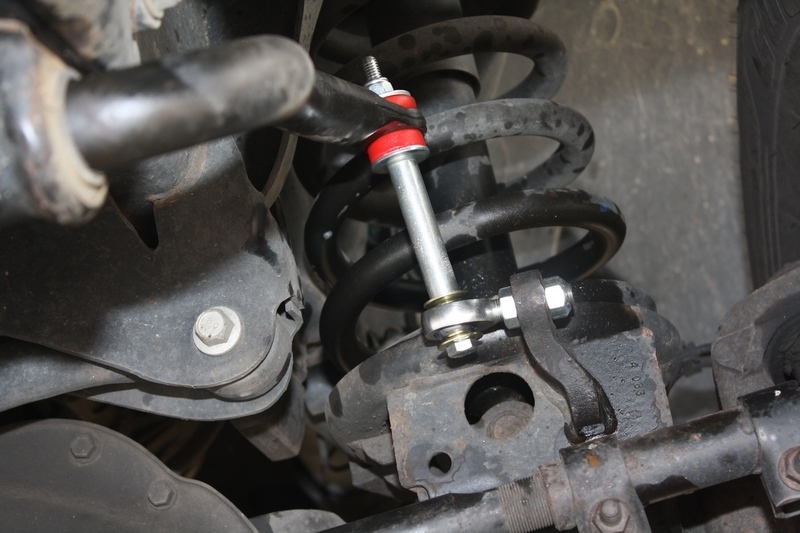 Fitment: These front sway bar end links are for trucks with a 2" front leveling kit installed. If you have a stock ride height truck please use our SKU# D03-FEL front end links. They do not fit Power Wagon trucks.